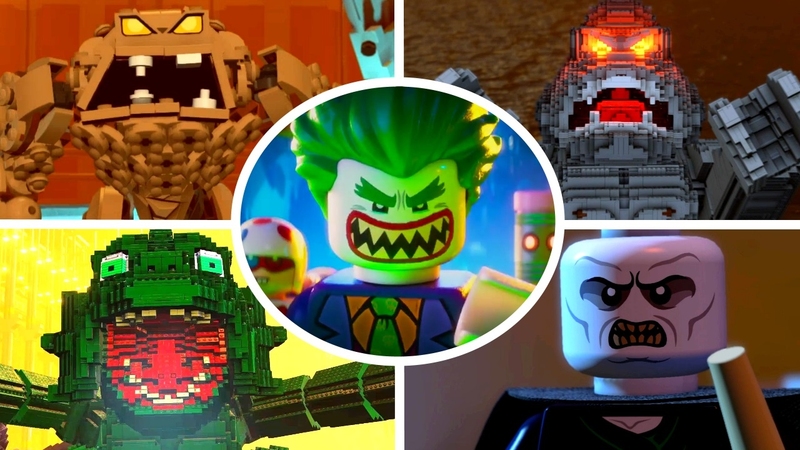 The Lego Batman Movie – Lego has become a significant franchise apart from their actual plastic building bricks, and sometimes it really seems to complicate things. I mean, Lego Star Wars? Just pick one or the other! I’ve heard these games are good, though, so I probably shouldn’t judge. 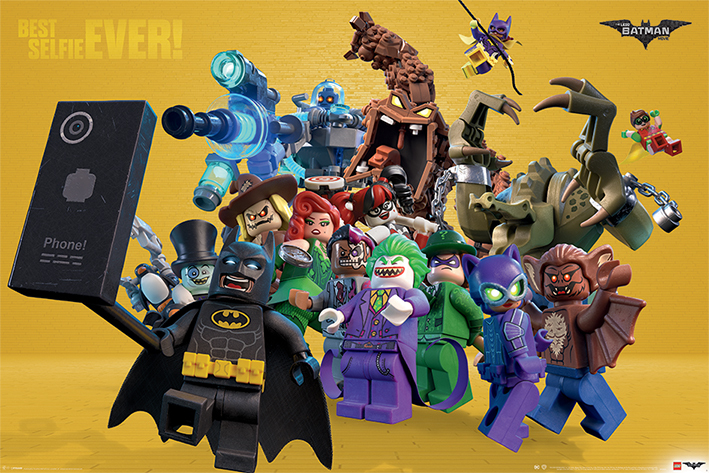 And I enjoyed The Lego Movie, which included appearances from several licensed characters, but none as prominently as Batman. He’s played as an affectionate parody, exaggerating the traits we all know and love about the Caped Crusader and mixing in a childish stubbornness and a fondness for rapping about himself. This film expands upon this characterization by making him the central focus, and making a lot of inside jokes and references along the way. Not only do the most famous Batman villains appear, but so do some much more obscure ones. And various comments suggest that every past iteration of Batman is at least sort of canonical, even though they frequently contradict each other and would mean he and Robin had already teamed up several times. The Joker references his plans from both the 1989 Tim Burton film and The Dark Knight, and other lines riff on Batman v. Superman and Suicide Squad. Not only do little-known members of the rogues’ gallery appear, however, but villains from other franchises, the explanation being that they had been exiled to the Phantom Zone and the Joker helps them escape. How can you turn down Batman battling Voldemort, Sauron, the Wicked Witch of the West, Godzilla, and King Kong? It’s kind of like a fanfic that was theatrically released. I wonder why anyone felt the need to exile Kong to a prison dimension when he’s just a wild animal who was mistreated, not actually evil. Same basic deal with the shark and the dinosaurs, but I realize criticizing a Lego superhero film for going with what’s cool and funny over what really makes sense is pretty pointless. Also, General Zod never appeared, despite Superman specifically saying that he’d exiled him to the Phantom Zone. It’s interesting that, even though Ralph Fiennes voiced Alfred, he didn’t reprise his role as Voldemort. Two-Face was Billy Dee Williams, who played Harvey Dent in the 1989 movie but never got to be his alter-ego. And Bane was a straight-up parody of his voice in The Dark Knight Rises. 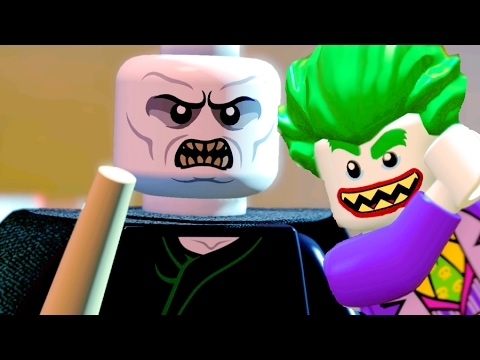 The Lego aspect was used more in the animation than in the plot, at least up until the characters stacked themselves on top of each other to pull Gotham City back together. While largely a spoof, Batman did have a genuine character arc with his fear of losing loved ones. I’ve seen it pointed out before how he’s generally presented as a loner, yet has a fairly large support network. Lots of heroes have had sidekicks, but Robin is probably the most recognizable. This movie explains that, at least to an extent. This entry was posted in Cartoons, Harry Potter, Humor, Monsters, Toys, VoVat Goes to the Movies and tagged alfred pennyworth, bane, batman, dc comics, godzilla, gotham city, joker, king kong, lego, phantom zone, ralph fiennes, robin, sauron, superman, the dark knight, the dark knight rises, the lego batman movie, tim burton, two-face, voldemort, wicked witch of the west. Bookmark the permalink.